If you’re looking into cloud storage, here’s a look at how to get what you need. Cloud storage offers a wide range of capabilities, but how do you go about purchasing cloud storage for your business? We’ll cover how to decide on the right cloud storage service for your business. Here’s a look at how to shop for a cloud computing service. Cloud storage allows your business to grow considerably and offers scalable solutions. For example, although you may only need a tiny bit of storage to get your website off the ground, you’ll need to expand your storage once your service begins gaining traction. To do this, all you’ll have to do is move on to the next storage offering with no complications. 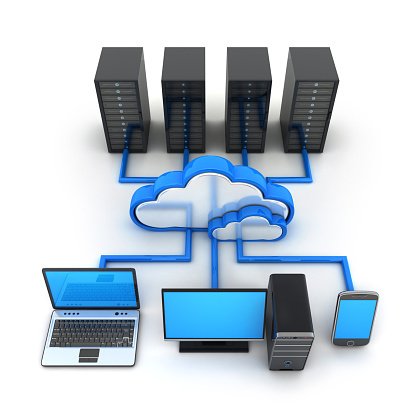 In addition to adjusting to your business workflow, cloud storage requires no physical equipment. The moment you purchase a software disk or a physical server, it’s practically obsolete. You won’t have to purchase replacement materials if your program goes out-of-date, since cloud storage offers continual updates. Cloud storage also allows you to save money. Instead of spending thousands on replacement equipment or technical solutions, a cloud service allows you to pay a small monthly fee and get automatic updates. In addition to having the latest software, the cloud service can correct any troubleshooting issues you may have on your end. So once you have established the components you will move to the cloud, it’s time to consider how the cloud can assist the process. For example, if you’re in an area known for severe weather, a cloud service can eliminate lost time in the event of repairing/replacing equipment after a disaster. Events/situations like these can help you gain perspective as to the cloud service that your business could benefit the most from. In consideration of this information, finding a excellent cloud service should be no problem. Haxxess Enterprise Corporation is the trusted choice when it comes to staying ahead of the latest information technology tips, tricks and news. Contact us at (705) 222. -TECH or send us an email at info@haxxess.com for more information.